made in Ekaterinburg (Sverdlovsk), capital of the Ural province, in the 1930s. 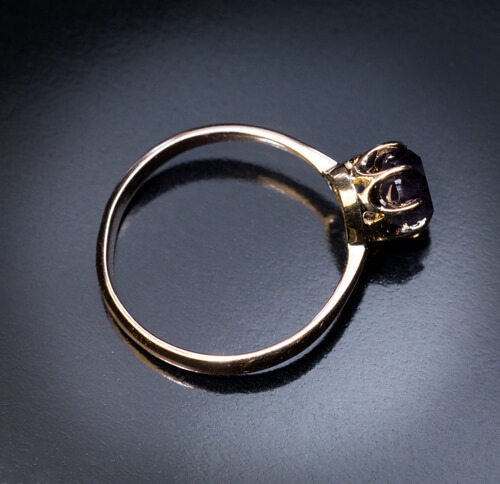 A vintage 14K gold ring features a very fine 1.78 ct cushion cut natural Russian alexandrite from the Ural Mountains. 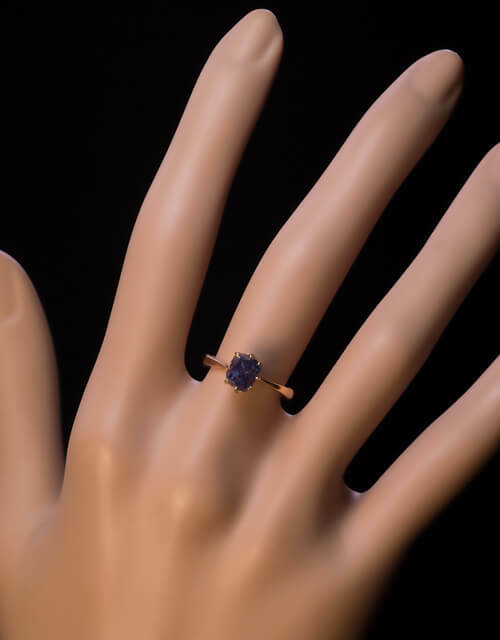 The alexandrite has a strong degree of color change (80% to 90%) and excellent quality of the colors. 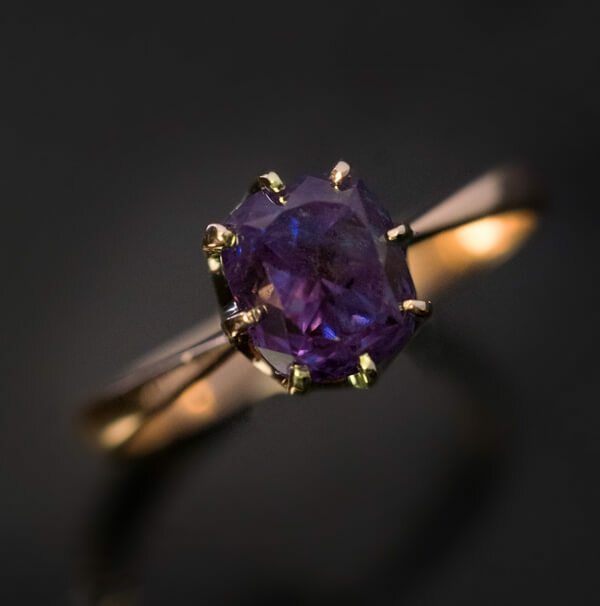 The stone changes its color from bluish-green when viewed in daylight to pinkish-purple upon exposure in incandescent light. 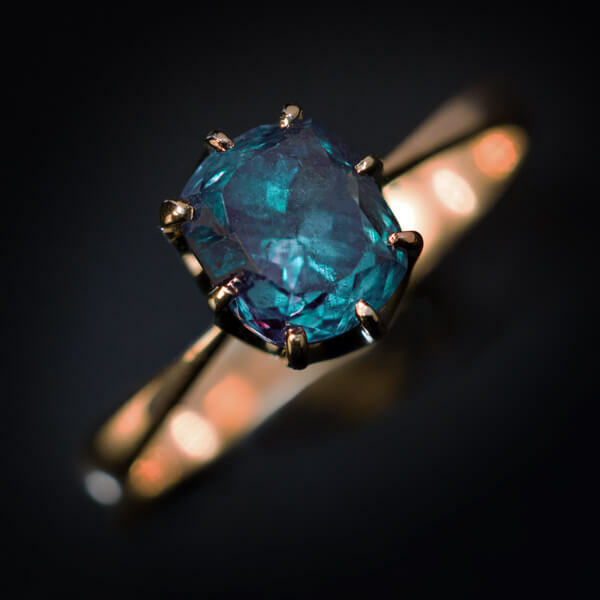 Measurements of the alexandrite: 6.55 x 5.51 x 5.58 mm. 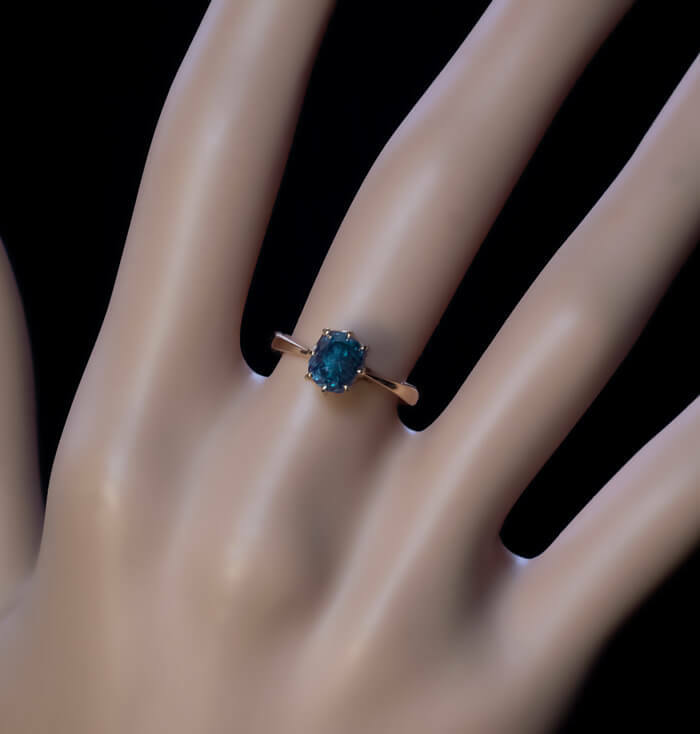 Russian alexandrites over 1 carat are very rare, especially stones with this degree of color change. 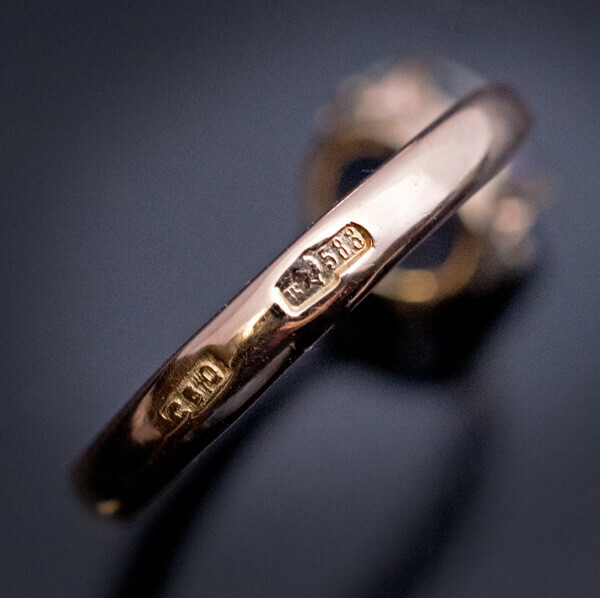 The ring is marked with 583 gold standard, Ekaterinburg (Sverdlovsk) assay symbol, and maker’s mark.